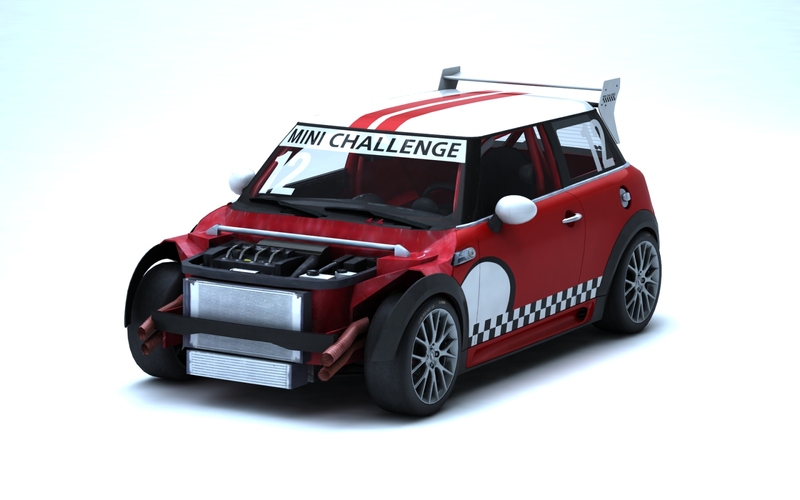 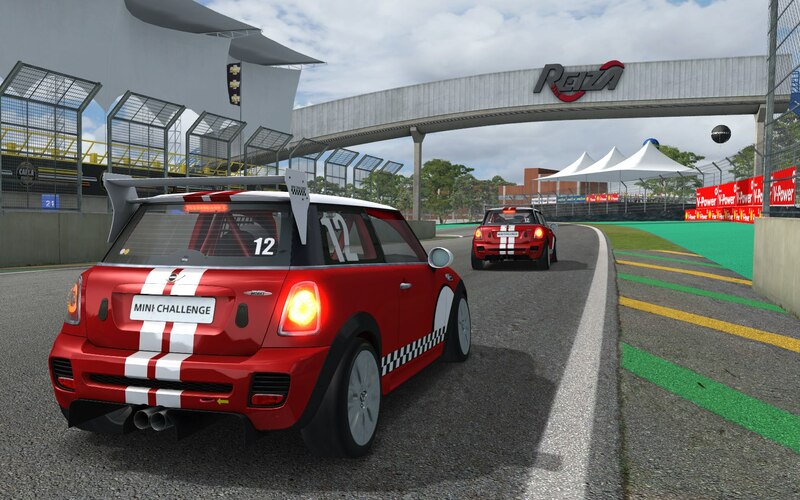 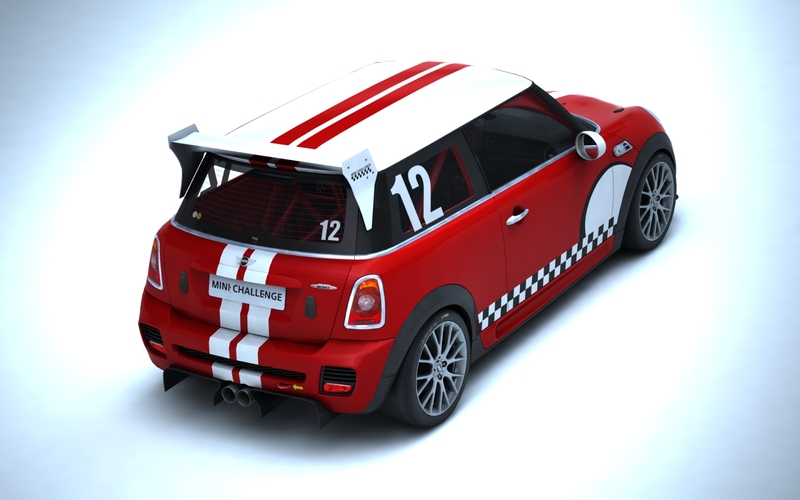 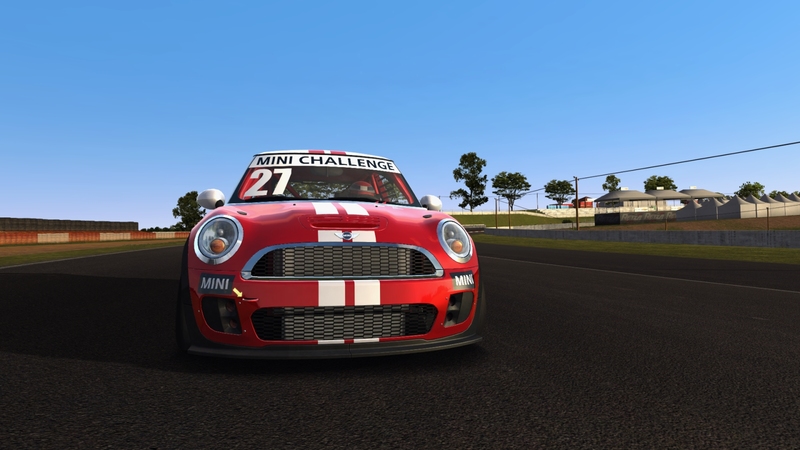 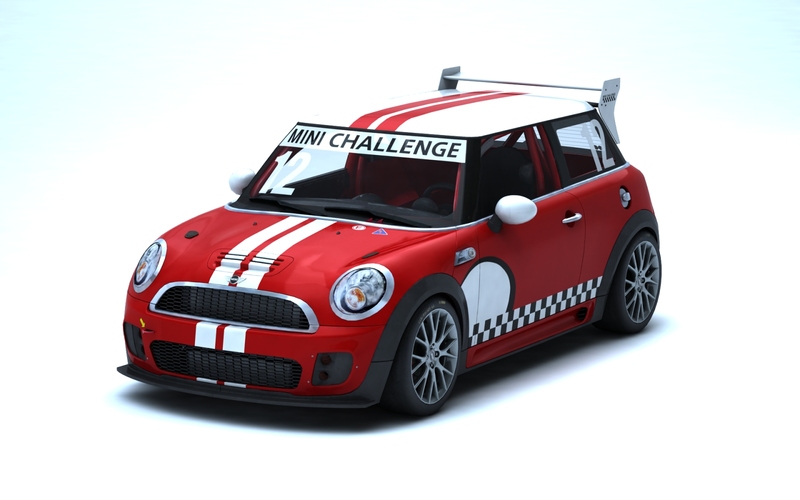 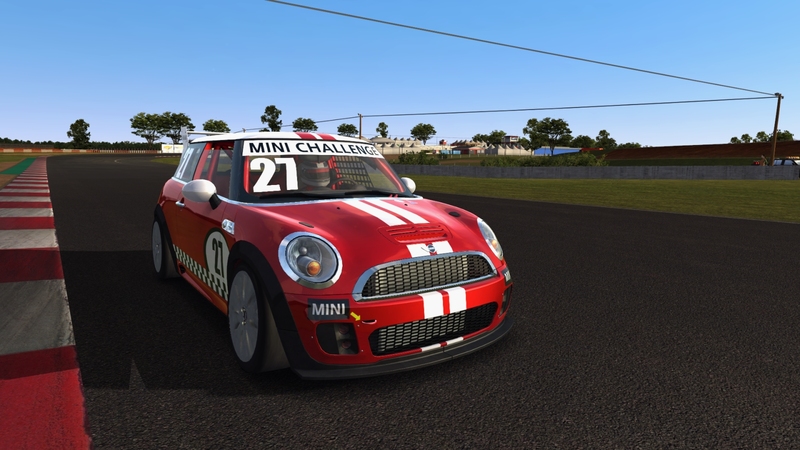 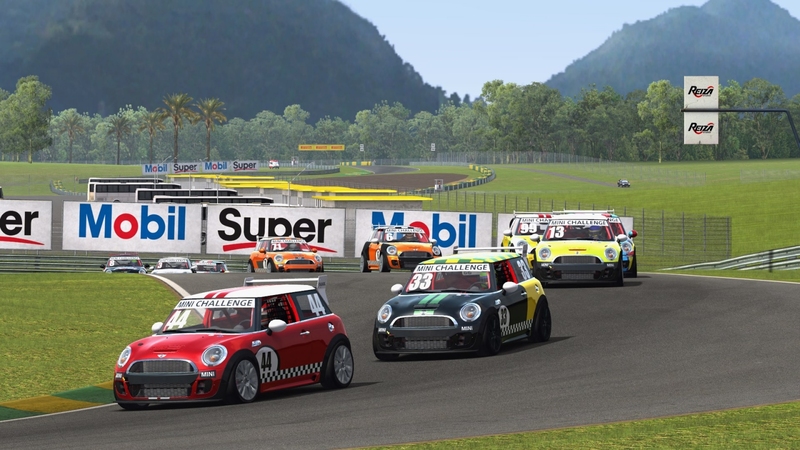 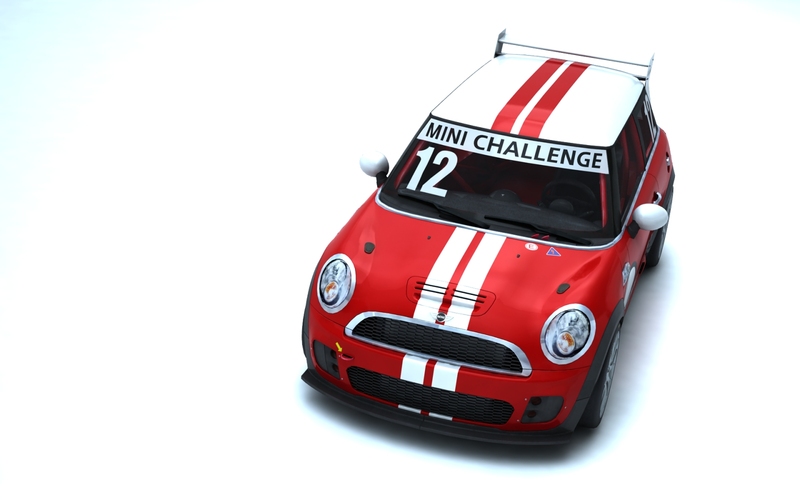 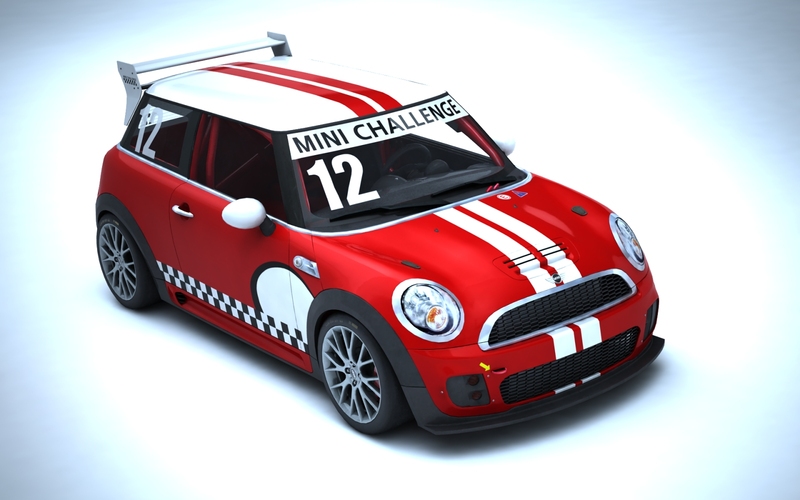 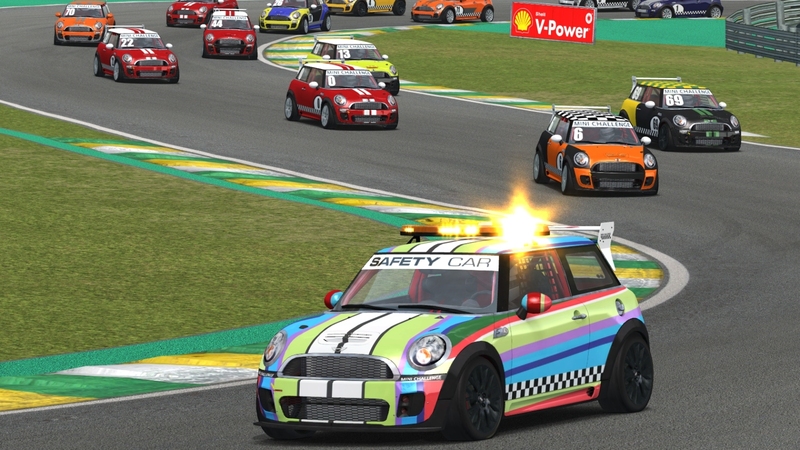 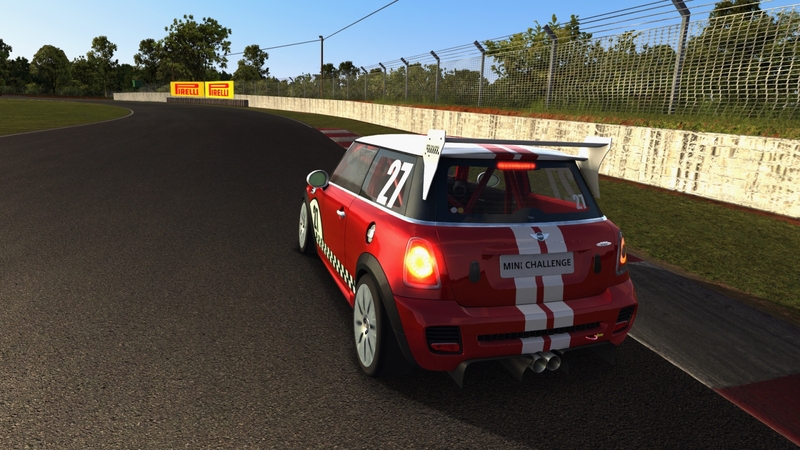 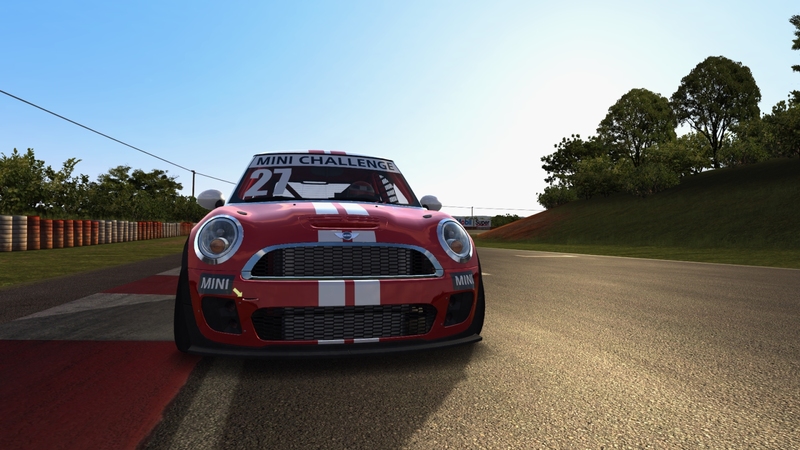 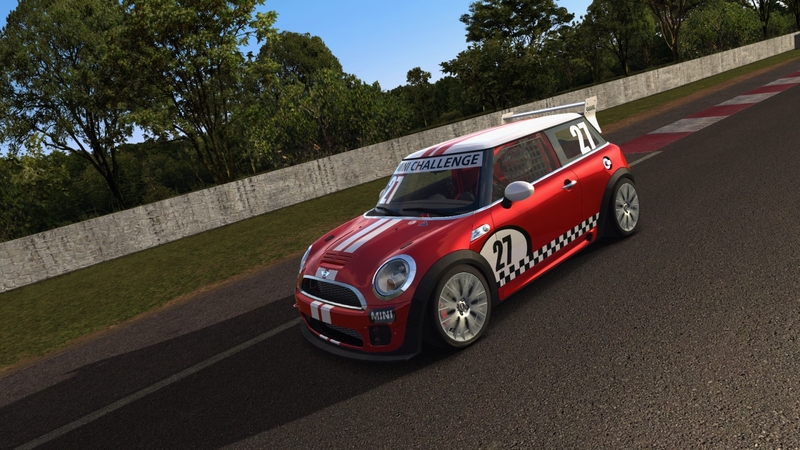 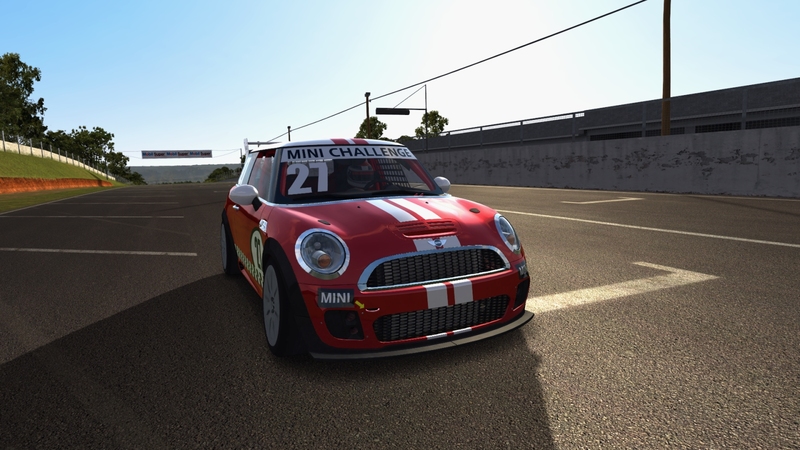 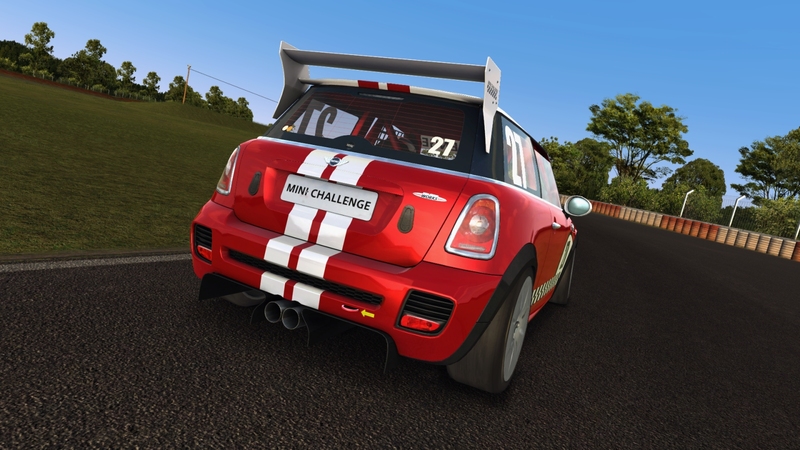 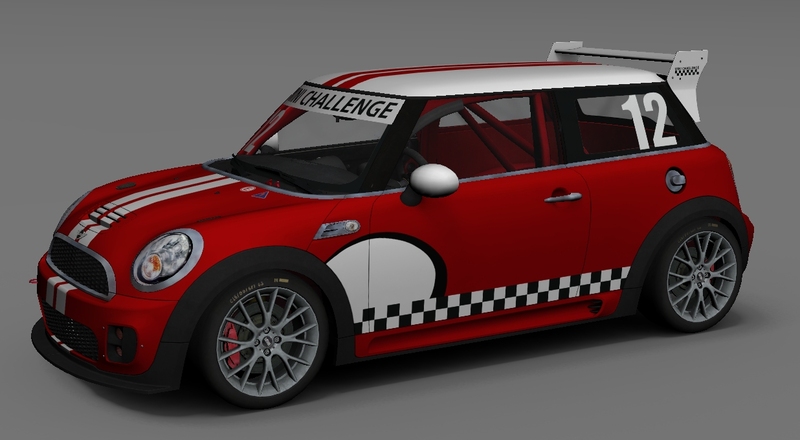 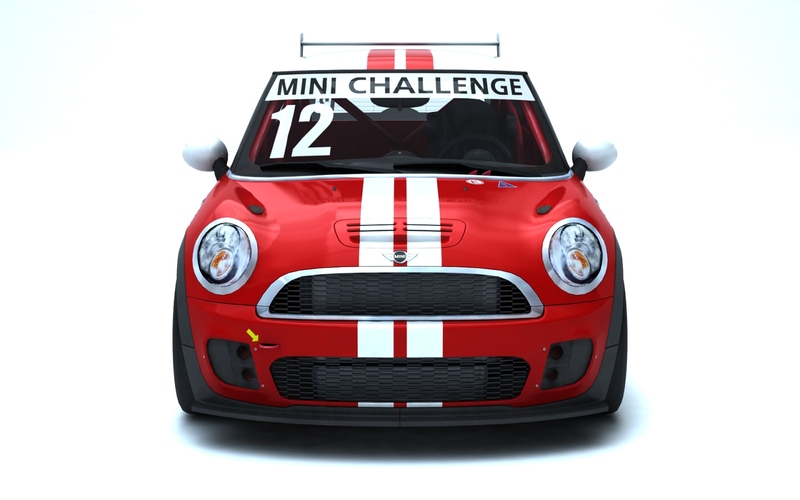 The MINI Challenge is famous worldwide for its close, intense racing. 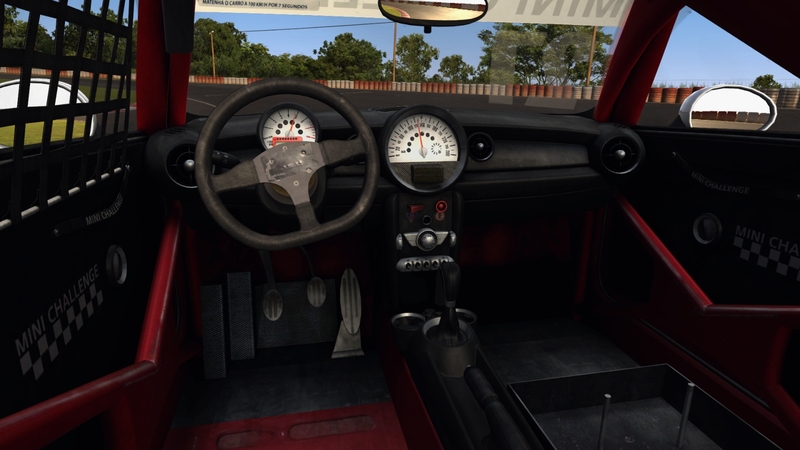 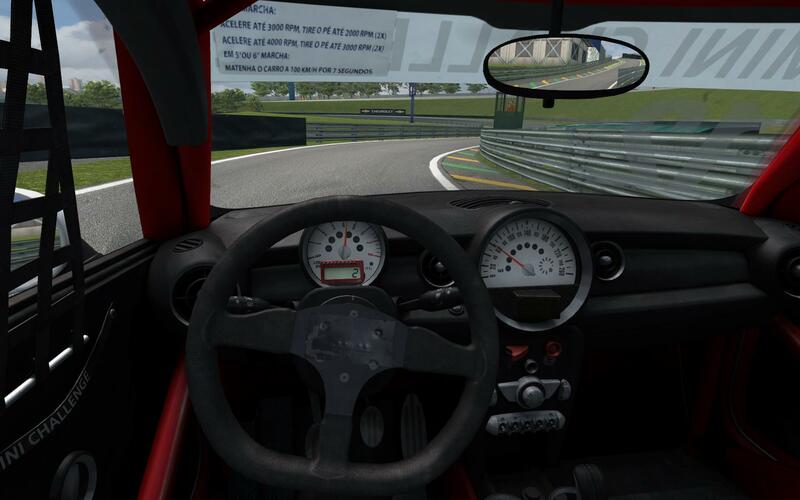 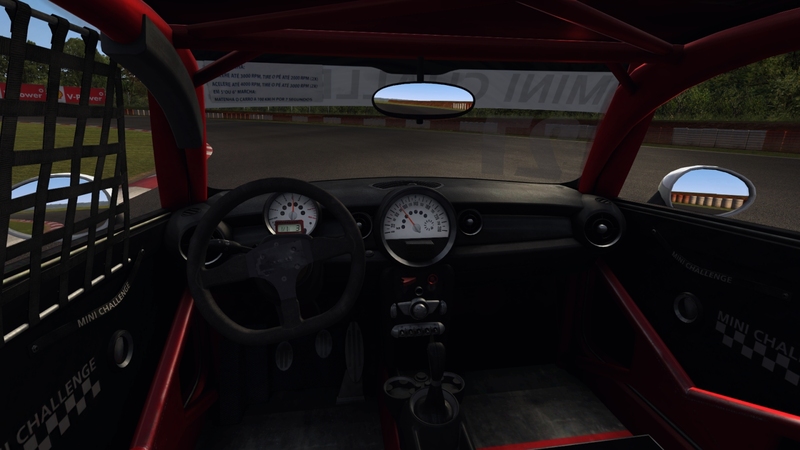 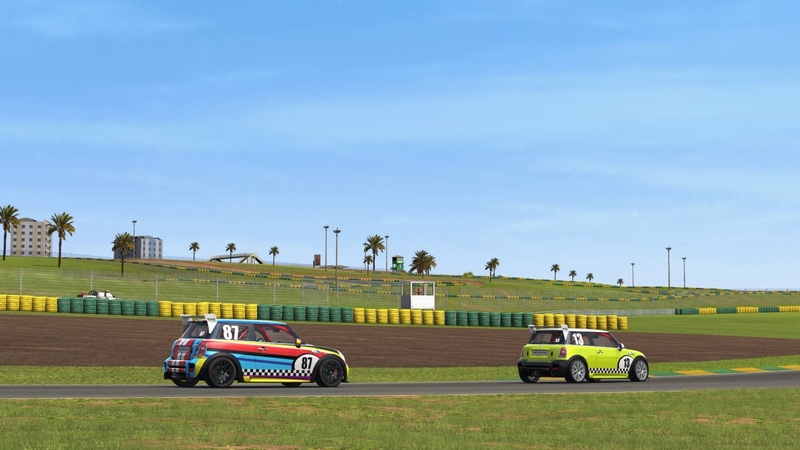 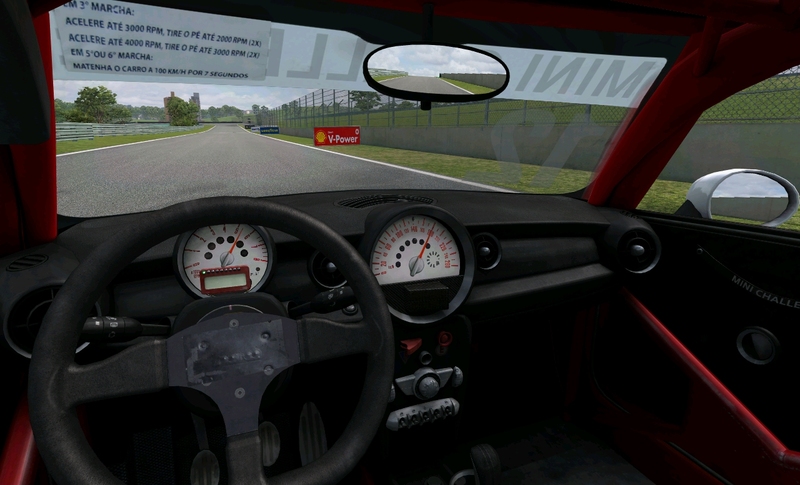 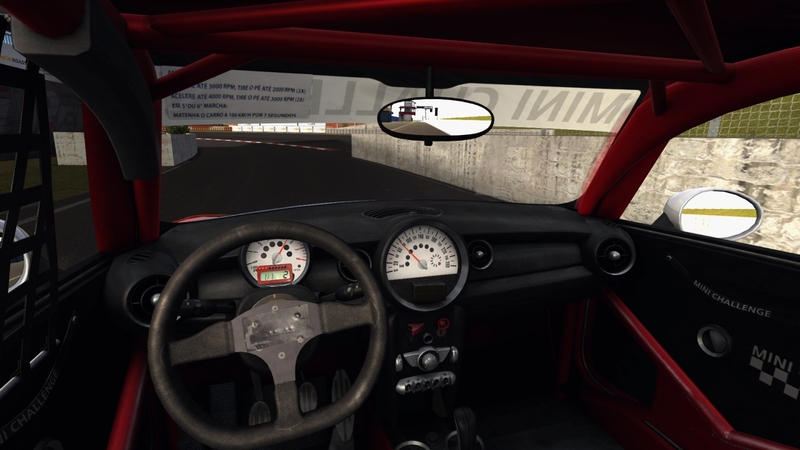 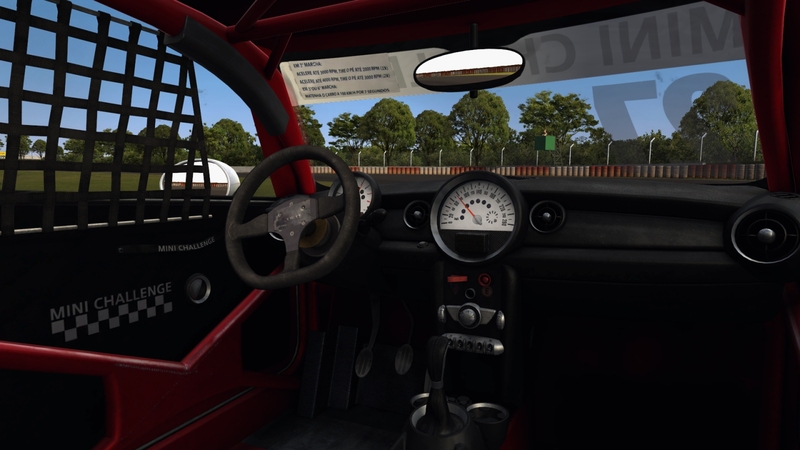 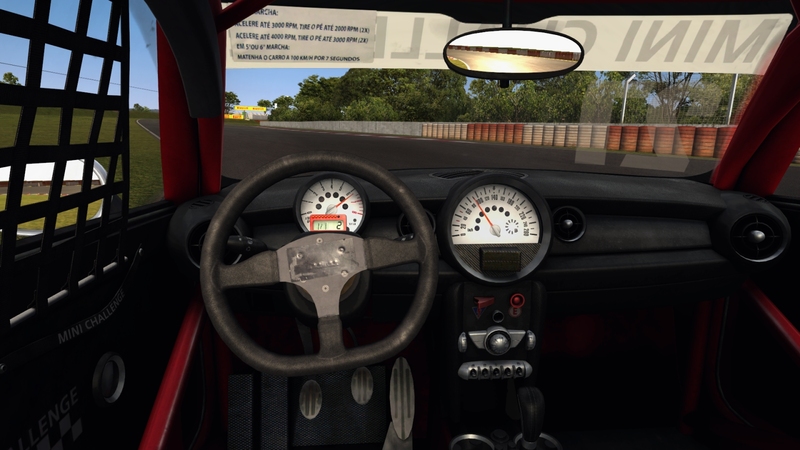 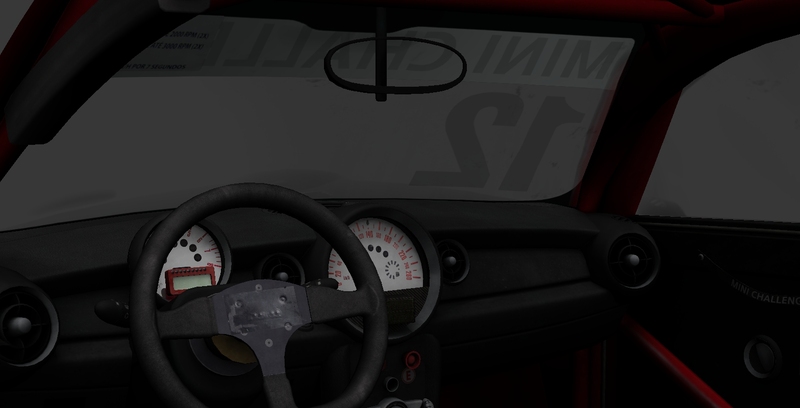 This digital recreation was added to Game Stock Car 2012 in the 1.1 update, and also features in GSC2013/Extreme. 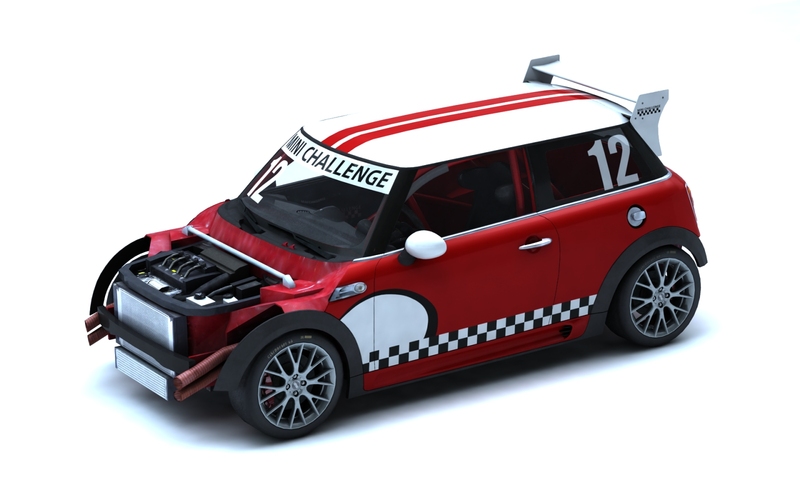 Modelled after the Brazilian MINI Challenge series, the front headlights were just blanks with stickers as per the real car. 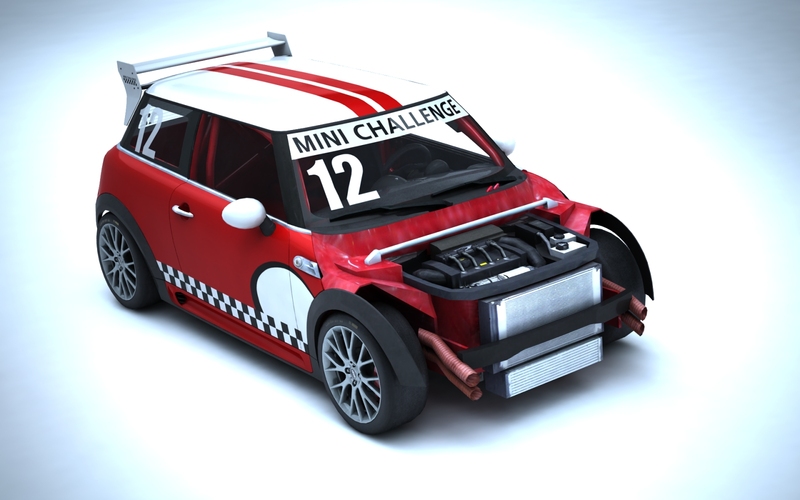 The series folded before the release of GSC2013, which allowed for the addition of 3D headlights. 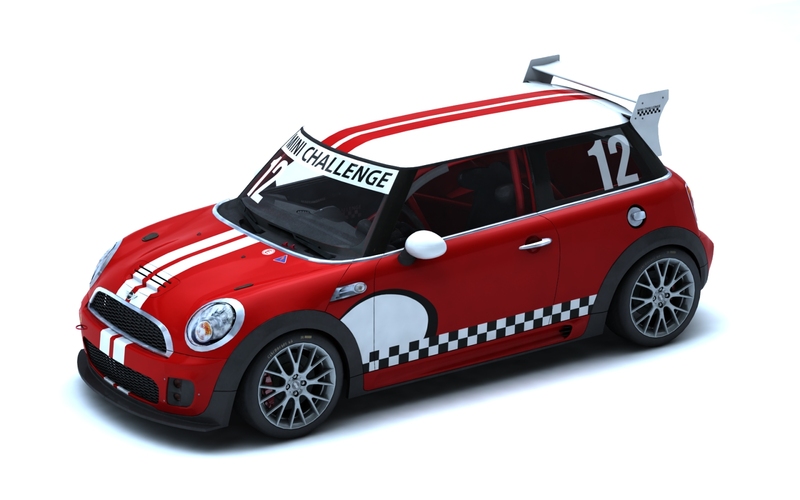 A pace car variant was also created, with black wheels (which were then incorporated as a user-configurable option for the race cars) and flashing roof lights.